Offering both in-patient and out-patient services, the Therapy Rehab Center is designed with every comfort and amenity to assist in the recovery process. The Center adheres to Planetree principles that remove barriers between clients, families and caregivers. Services include: Orthopedic Rehabilitation, Cardiac Rehabilitation, Stroke Rehabilitation, Post- operative Care, Pain Control, IV Therapy, Diabetes Management, Wound Care, Physical Therapy, Occupational Therapy, and Speech Therapy. The Center offers 32 private rooms with private bathrooms including large, accessible roll-in showers, room service, expansive windows, a pub and an outdoor courtyard. Altenheim is proud to have attained a patient satisfaction rating that is 11 points higher than the average licensed facility per the 2017 Ohio Department on Aging Patient Satisfaction Report. Altenheim strives daily to provide top quality care to each client. Out-patient physical and occupational therapies at the Rehab Center are provided by Hands-on Physical Therapy Specialists at Altenheim. Nancy Nebenzahl’s 15-year-old practice became a part of the Altenheim Life Plan Community about a year ago. “Previously we provided inpatient therapy services to clients on our campus, and we provided home-based therapies in patients’ homes. With Nancy’s team on board, we now provide top-quality therapies to clients of all ages who are able to come in for an office visit,” says Paul Psota, Altenheim CEO. A unique out-patient offering is hand therapies. “It’s significant for us to be able to offer hand therapies because there are so few specialists in the field,” Paul says. The phone number for the Therapy Rehab Center is 440-238-3361, and for Hands-on is 440-238-0300. Rehabilitation services get you back to your regularly scheduled life. For senior rehabilitation services in Strongsville, Ohio, Altenheim offers both long- and short-term therapies. Our compassionate, patient-centered team will create a customized plan to speed your recovery and accommodate your particular situation. Whatever your needs, rest assured you’ll receive gentle care from a team of trained and skilled therapists. If you’re in need of senior rehabilitation services in Strongsville, Ohio, please connect with us using the form on this page. Our short-term rehabilitation and therapy programs available at our Strongsville, OH campus are about helping people reach their maximum potential for home going. A compassionate, patient centered team will personalize the services you need for recovery. You will be well prepared to return home with a discharge plan tailor-made for you. Services include orthopedic rehabilitation, cardiac and stroke rehabilitation, post-operative care, pain control, IV therapy, diabetes management, wound care and physical, occupational and speech therapies. 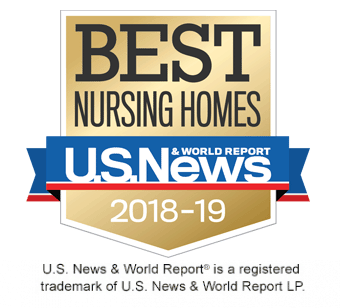 Our skilled nursing services, provided by our nationally recognized nursing staff, are designed and managed according to the individual needs of our residents at our skilled nursing facility in Strongsville, OH. A highly trained, compassionate team of physicians, nurse practitioners, nurses, therapists and support staff use a team approach to met your loved one’s overall sense of well being and continued quality of life. We offer expert nursing and clinical care, restorative, palliative and memory care, therapy services, pain management, wound care, medication management, activities of daily living, social activities, family and resident participation in plan of care design, and staff continuity. 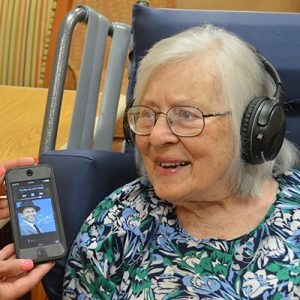 Our memory care services, available throughout our independent, senior and assisted living facilities in Strongsville, OH, are designed to support positive quality of life for our residents with Alzheimer’s and Dementia, and their families. Are you in need of compassionate care for a loved one whose life journey requires memory care due to Alzheimer’s disease or related dementia? Altenheim offers a secure living area in a home-like environment which will promote your loved one’s quality of life.A personalized care plan may include functional maintenance programs, quarterly cognitive assessments, physical ability maintenance, specialized activities geared towards individual’s level of cognition, music and memory programs, or family support groups and life stories. Led by a certified Dementia Care Coordinator and a dedicated staff, a compassionate care plan will be designed for your loved one. A functional maintenance program provides structured activities that will help your loved one remain as independent as possible. A secure living area and outdoor enclosed courtyards make for a home-like environment. Our long term care personalizes services in loving, family-oriented surroundings at our newly renovated campus in Strongsville, OH. 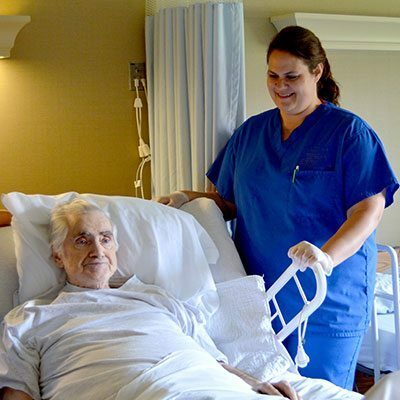 Altenheim provides unparalleled long term care, in a person-centered environment with a home-like atmosphere. Our highly trained, compassionate team of physicians, nurse practitioners, nurses, therapists, and support staff use a team approach to meet your loved one’s overall sense of well being and continued quality of life. Our skilled team offers expert nursing and clinical care, therapy services, restorative care, pain management, palliative care, and medication management. In addition to treating the physical needs of our residents, we provide social and recreational activities and help with activities of daily living. Families and residents are encouraged to participate in designing and implementing individualized plans of care. In keeping with our mission, we strive to achieve the optimal level of mental, physical and spiritual well-being of individuals and families. Living in Northeast Ohio/Cleveland can be challenging, especially during the winter months. For our residents, families and friends who are receiving hospice care, it can be a very difficult time equipped with its own unique set of challenges, but at Altenheim Senior Living you won’t go through it alone. You or your loved one needs hospice care. What’s next? Hospice is not a location. It is the way you or your loved one chooses to live with a life limiting illness, in a caring, compassionate environment that supports and respects quality of living. Altenheim’s team will assist you in finding services to support your choice. Hospice services may be provided on Altenheim’s campus, or in your loved one’s room or apartment. We will work with you and the hospice provider to ensure that your individual plan of care is met. 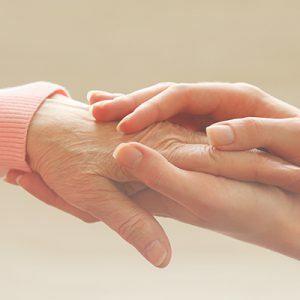 Hospice care includes symptom relief, pain management, comfort care, supplies, equipment and medications, respite care and bereavement services. Deficiency free survey in 2018!